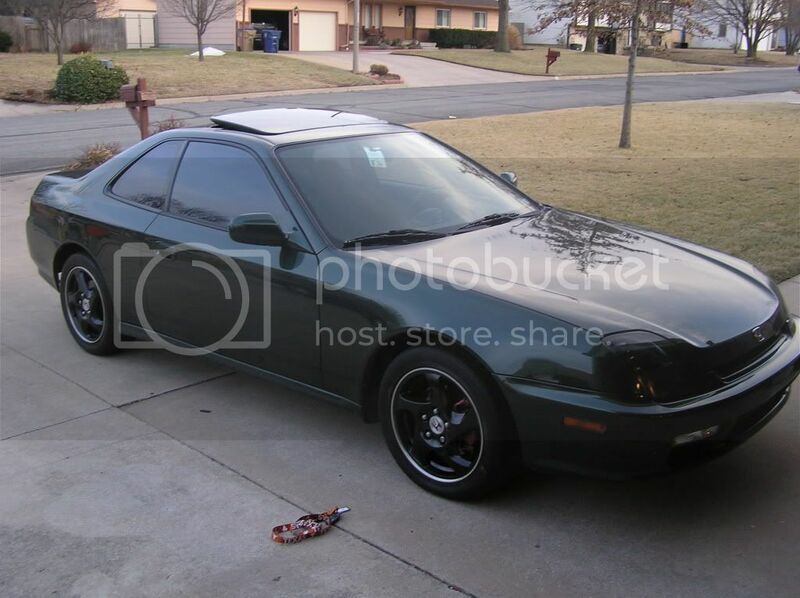 what do you guys think of the black on the green lude? I usually dont like painted rims but bro these look sick!! Great job! I really like the chrome lip you left. I hate when people paint them all black. Good work, they look great! nice work dude. looks awesome. Dude, amazing paint job. Did you use regular paint? Spray? Powder coat? "Its not the long straightaways that determine skill. Its the small corners that really test your abilities." 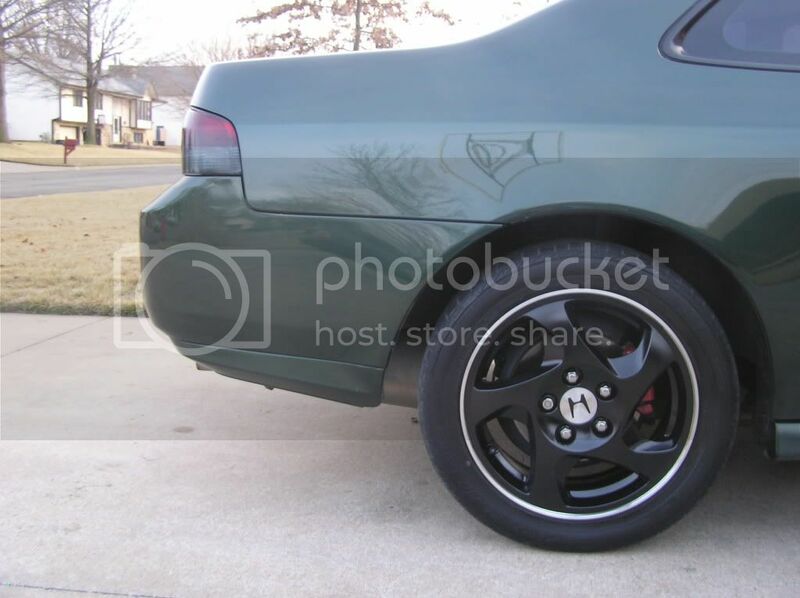 I also painted my wheels, these wheels came with my prelude when I got it. They had curb marks on just about every wheel. an paint was chipping etc. I pulled out the dremel an smoothed down the curb marks best i could, preped, then sprayed. This was my result. Gloss black with cherry red lip. ( I have not worked on the chrome lip yet, I'd like to know what i could do to bring that *new* shine back. i might paint mine white actually, i think it would look good. Dude that looks beautiful, after a drop the ride's gonna be perfect homie! You did a really good job man! Professional grade! Now get you some suspension! Where are you located? moar. i want vids of your lude rollin on these or I'm calling fake. lol im in wichita ks. but yeah, i plan on gettin some pics tomorrow morning with the fog. wichita ks? no way? im from there too!